The liver performs multiple vital tasks, including toxin removal from the blood, aiding the digestion of food and fighting infections. It is one of the only organs in our bodies which have the ability to regenerate, however this happens at a certain rate. Many health conditions, environmental factors and modern viruses/pathogens can cause damage to the liver at a higher rate than its able to regenerate. StemCells21 liver disease stem cell treatment is a therapy program that shows consistent therapeutic benefits to patients suffering from this disease. Hepatocytes are the cells in the liver which take on the most tasks. These cells in the liver generally live for 2-300 days.These cells can replicate themselves prior to cell death, if the liver takes an Injury, attack or gets in a state of inflammation, oval cells come into action. Oval cells are understood to be the resident liver stem cells and have the potential to make new hepatocytes. If the liver is under a sustained or very strong state of injury, local stem cells which are present do not have enough numbers/abilities to regenerate under this ongoing damage. 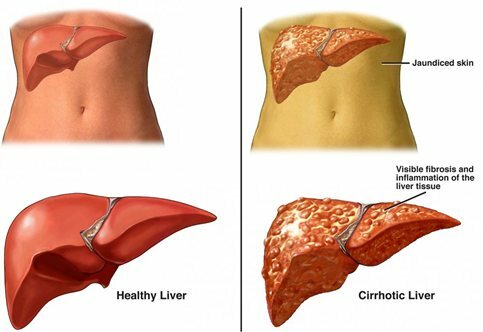 Chronic liver diseases such as Cirrhosis become present. Fatty liver disease is an example of this, the continued inflamed state of the liver means the regeneration/degeneration levels become in favor of the disease and progress to Cirrhosis. The liver is known to have the ability to regenerate itself, the process is complex and requires various trigger mechanisms to get stem cells to regenerate parts of our bodies. Stem cells facilitate this innate process by providing new cells in areas of deficiency. The growth factors, defender cells, coagulation cells, etc. are assisted by angiogenesis that provides new cells in the circulation to get the repaired area to work in concert and function properly. Our liver disease stem cell treatment programs administer new pools of stem cells into the blood stream, with a carefully planned growth factor/peptide/stimulant program to support the stem cells mechanism we desire. Physical improvements such as: less head/neck aches, decreased soreness in neck, arms and legs, reduced stiffness in joints and far less tiredness or fatigue. Aesthetic improvements such as: The skin on the face and hands becomes tighter, fewer wrinkles are visible, hair thickens, general younger appearance. Improvement in the overall quality of life.